Irish Metallers PRIMORDIAL have just released their first professionally filmed and edited video clip in the history of the band. The clip is for the song “Babel’s Tower” from the album “Where Greater Men Have Fallen” which was released November 11th via Metal Blade Records and will be launched exclusively through the website of Metal Hammer! 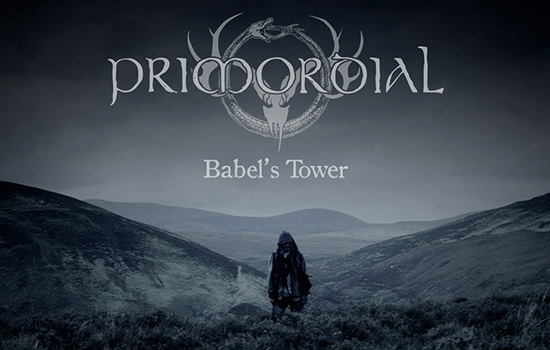 Please surf over here at Metal Hammer to check out “Babel’s Tower“! PRIMORDIAL have made quite an impact at the German press with their latest offering “Where Greater Men Have Fallen”! The album has won the soundchecks in all four major metal magazines, namely METAL HAMMER, ROCK HARD, DEAF FOREVER and LEGACY! This is the first time ever this is happening ! 17/07/15 DE – Balingen – Bang Your Head!!! REVAMP: New album in the making! ZODIAC ANNOUNCE NEW ALBUM & TOUR DATES! Metalbattle 2015 gaat weer van start!